Schadenfreude is not an admirable trait, but in markets it is sometimes funny. In 2000, the founder of Netflix approached the CEO of Blockbuster and offered him his company for $50m. The deal was declined. Netflix is now worth $175bn. Blockbuster is worth zero. In 2007 the Blockbuster CEO declared: “We have everything that Netflix has, plus the immediate gratification of never having to wait for a movie.” Since Netflix announced streaming video 11 years ago, the share price has returned 12,325pc. Blockbuster has fallen 99.8pc. Netflix’s share price is up more than 80pc in 2018 alone and it recently surpassed Walt Disney to become the most valuable media company in the US. Ten years ago Disney’s market capitalisation was 25 times larger than Netflix and only two years ago it was four times the size. The company’s rise has been swift and spectacular. After the latest results the shares again ratcheted higher as investors were impressed with the new subscriber numbers – they added 7.5 million last quarter, much more than expected. But a further look under the bonnet unveils some startling numbers. Netflix’s net income is $671m while Disney’s is $11.5bn. The company projects that it will be free cash flow negative to the tune of between $3-4bn in 2018 and this will continue for several more years as its spend on original content rapidly grows. Indeed it plans to spend roughly $8bn on content in 2018. Its total debt pile most of which is kept “off balance sheet” is growing with some estimates suggesting it is near $22bn. While its offering is first-class and it is undoubtedly changing the face of how TV is being consumed globally, the valuation suggests investors are making very optimistic assumptions for the company going forward. Netflix is just one of the high-flying club of technology stocks known as Faang. The acronym covers Facebook, Apple, Amazon, Netflix and Google. If cannot be overstated how influential this small group has become to determine the overall fate of global stock markets. These five are bigger than the entire FTSE 100 or CAC40. The stock prices of all five hit new all-time highs this week. Amazon is another extraordinary growth story. The share price is up over 40pc in 2018 and regained the title of the second-largest US Company, after Apple. Its value has exploded from $140bn to over $800bn in just four years. It has doubled in value in the last year alone. Twenty years ago Walmart was 37 times larger than Amazon; five years ago it was twice the size. It is now three times smaller. The latest results were stunning. Revenue jumped 43pc last year to $51bn from $35bn- beating all expectations. Amazon profit increased 221pc year-over-year. Adding to that revenue total will be increased Prime subscription prices. The annual price is moving to $119 from $99. They have over 100 million Prime subscribers. AWS, the company’s cloud-computing arm, was also a big driver of profit gains. It is clear from the elevated stock valuation the investors are expecting this growth to continue. No account has been taken of US President Donald Trump’s attacks on the company in regard to forcing it to pay more tax. Indeed an adverse Supreme Court verdict last Thursday allowing states to collect billions of dollars in sales taxes from internet retailers saw a mere ripple on the share price. Similar points can be made regarding the other three. Facebook and Google shares have taken no hit from any potential fallout from recent scandals and the prospect that regulators may levy constraints on their method of business. More worryingly Facebook, which has until recently dominated the social media landscape among America’s youth, is now just the fourth most popular online platform among teens between ages 13 and 17, with just 51pc saying they use it, according to a new survey. This is down from 71pc in 2015. Facebook use among teens is much worse in comparison to YouTube (85pc), Instagram (72pc) and Snapchat (69pc). Investors seem not to care. At least the rebound of Google shares is much more understandable. It has a substantial ‘moat’ surrounding its business and the valuation of the company looks much more reasonable than the other four. This may provide some protection for investors in any general sell-off. Apple has not been immune from bad news in the last six months but owing to Warren Buffet and the Swiss national central bank taking large chunks, investors seem happy to go along for the ride. Indeed Apple has nearly doubled in value in the last two years and looks set to be the first to reach the $1trn milestone. The share price has taken no hit from what seems to be a very underwhelming Iphone X. There is a euphoria and excitement surrounding this sector which is reminiscent of the bubble in 2000. However no two periods are the same. The revenue growth from this group is substantial and real. Total revenues from these five have increased from $132bn in 2010 to more than $700bn, a 435pc increase. Amazon and Apple alone contribute 50pc of all S+P 500 points’ gains this year. It has even been suggested that these stocks will somehow be immune if any material economic downturn emerges and that they are somehow ‘defensive’ in nature. In my opinion this thesis is misguided. Sentiment indicators show this sector is currently over-loved and over-owned. If the world economy is to slow, it is inconceivable that this sector will be immune. It also must be noted that the extraordinary performance of this small cluster of names is masking, for the moment, much weaker signals across a broader array of global equity markets. While these stocks were making all-time highs last week, the Dow Jones fell nine days in a row. I am not suggesting the demise of these companies. Far from it, I expect them to continue to perform respectably well but their valuations are so elevated and the assumptions surrounding them so optimistic that investors could easily regret buying at least some of these names, at current levels. A slowing world economy could trigger a re-rating of valuations here that is likely to be violent. The companies may perform well but their share prices may not. A lesson from Microsoft share price history may be instructive. Those who bought in the year 2000 had to endure a 17-year wait, before even breaking even, on their stock purchase despite the company performing well in all that time. This sector of the market is now providing an extraordinary support for global equity markets. Whether you are invested or just have a general interest in how markets perform this sector is now crucial. Any problems here will have much broader implications. 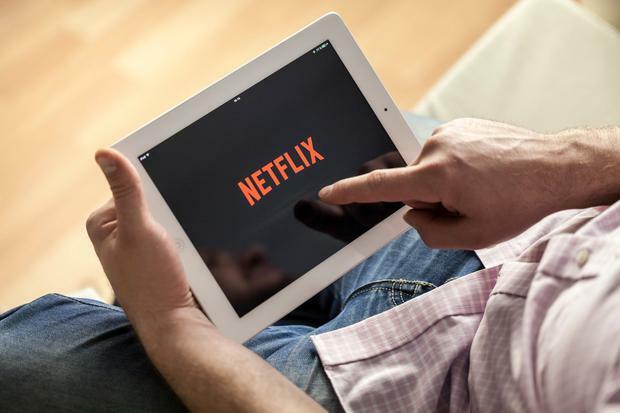 Before purchasing Netflix shares investors may be much better to sample their latest offerings of The China Hustle or Dirty Money. It may be a cheaper lesson in how stock markets work. In September 2012, Barrons, the influential US investment magazine, famously suggested investors should “sell” Facebook as its shares were only worth $15 and its market capitalisation of $60bn was far too large. This week the shares traded over $200 and the market capitalisation is close to $600bn.